Over the past year, one of the things I’ve really been working on doing a little bit more of is star photography. Shooting the stars has always fascinated me. Our camera’s ability to see even more stars than our eyes can gives us light into a world that we don’t yet know or truly understand. Before this year I was in tropical regions for the majority of time and clear night skies outside of the light pollution of cities were few and far between. However, over the past year places like the North of Canada, the deserts of Mali and Mauritania, the Grand Canyon, and the mountains of Morocco have provided me with ample opportunity to photograph the stars. Below I’ve given you a bit of a guide on how to take photos of the stars. The simple truth is you’re probably going to need a DSLR Camera. I’ve never tried with a point and shoot camera, though I doubt the sensor is going to be powerful enough to produce noise-free images. You might be able to shoot these with a mirror-less camera though. But again, I’ve never been able to try. You’ll need a sturdy tripod, or some sort of stabilizing device, and you don’t need one but a remote trigger will do you a lot of good as well. You’ll also want a flashlight so you’re not fumbling around too much in the dark. Other than those things, all you’re going to need is patience, and a good location. Easier said than done, you’ll need to find a location that is dry enough that there are no clouds, far enough from city lights, and best done if there are some mountains or old buildings to add to your composition. 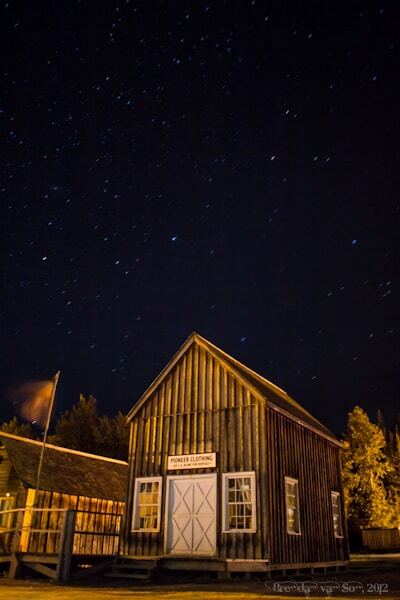 Moreover, colder locations tend to draw out crisper stars as do higher altitude locations. There’s no point to shooting on a cloudy night, it just wont work. For me, the best time of night to shoot this kind of photography is late in the evening before the darkest point in the night. This way you still have some interesting colour in the sky. The first thing you’ll have to do once you’ve got to your location is work out a composition for your star photography. This can be tricky because it’s pitch black. What I do is jack the ISO as high as I can and open the aperture as wide as possible. I the guess basic compositions in order to frame an image I like. The things you should be looking for are: 1) interesting landscapes, 2) the milky way if possible. Once you’ve composed an image you can begin to work on getting the best quality photo possible of the composed photo. Getting the focus is pretty simple. Just set your lenses focus to infinity. You can then shoot fairly wide open on your ISO (ie. f/2.8) and everything will be in focus. Just note that if you’re going to shoot wide open you will need to make sure there’s no item in your frame too close to you. Depending on the type of photo your trying to get, getting the right exposure doesn’t have to be too difficult. You’re basically just going to keep dropping the ISO until you get to a point where you’re not creating star trails (if that’s you’re goal it gets tricker as I’ll explain later on). If you’re willing to shoot images at about 800ISO or 1600ISO you shouldn’t need to shoot over 20-30 second exposures so getting it right is easier than you think. However, there is definitely going to be some trial and error involved in tweaking the ISO and shutter speed until you get it right. 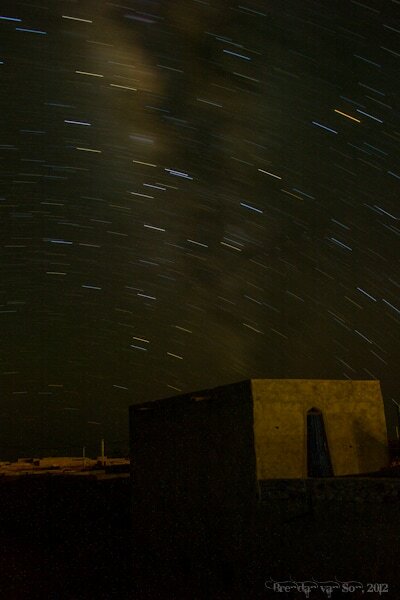 This rule refers to how long you can shoot a star photo without creating star trails. 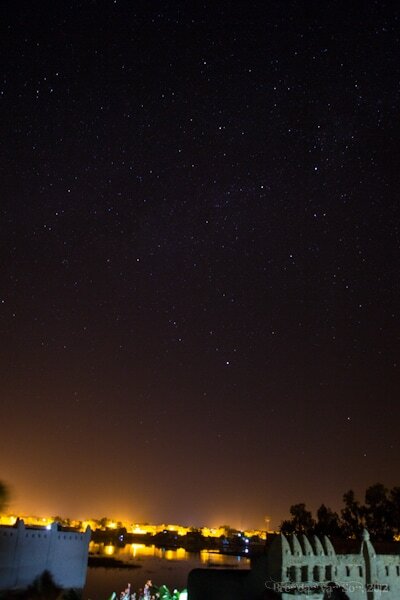 Basically, if you shoot too long an exposure, the stars will create trails rather than dots in the sky. This is looks like a result of movement of the stars, but is obviously the result of the earth’s rotation. The rule is simple. Take 600 and divide it by the focal length you’re shooting and you’ll be able to shoot for that long before the stars start to trail. For example. If I’m shooting at 24mm then 600/24 = 25seconds before the stars trail. If I’m shooting 50mm then 600/50 = 12 seconds. Got a hang of the basics? The truth is the basics of star photography are easy. But like all kinds of photography the true greatness comes with advanced techniques and a lot of practice. Here are some of my advanced techniques. There are basically two ways to create the star trail effect. Long Exposure: For most, this is the preferred technique but it’s also the one that takes the most practice. I remember shooting an 800 second star photo only to find out it was still grossly underexposed. Those are 13.3 minutes of your life you can’t get back. I find the best way to do this is to slowly progress. Basically start at an exposure of something like 60 seconds at ISO 400 at f/2.8, then slowly keep tweeking it until you get to say ISO 100 and 300 seconds f/2.8. Then slowly close the aperture moving towards something like ISO100 and 1000 seconds at f/7.1. It’s tricky and you’ll be up all night playing and adjusting, but the results make it well worth it. Another important thing is to take notes of your results so you wont have to mess around as much next time you shoot stars. If you’re a canon user, load Magic Lantern onto your camera so that you can set the Bulb setting of your camera onto a specifically timed setting and you don’t have to sit there watching the time tick away. Image Stacking: The second way to do this is by image stacking. Basically, you’re going to take a number of photos and stitch them together into one image. The benefit of doing this is that 1) the shorter exposures mean it’s easier to figure out your shot and 2) the extra long exposures of the first method can create a really hot sensor and hurt the overall image quality. The downside of this method is that sometimes the star trails can look choppy and obviously stacked together. Personally, I prefer the first method, but each to their own. Taking your skills to the next level, you’ll want to start lighting subjects in the foreground of you images. Good star images have beautiful stars in them, great star photos have multiple dimensions to them. Basically, if you want something in the foreground of your shot like a building, rock formation, or person you’re going to have to light it; or it is going to have to be lit naturally. There are two good ways of doing this, although there are some people that do three things. I’ll explain all three. Flash Bombing: Probably the most popular method because it’s the most simple. 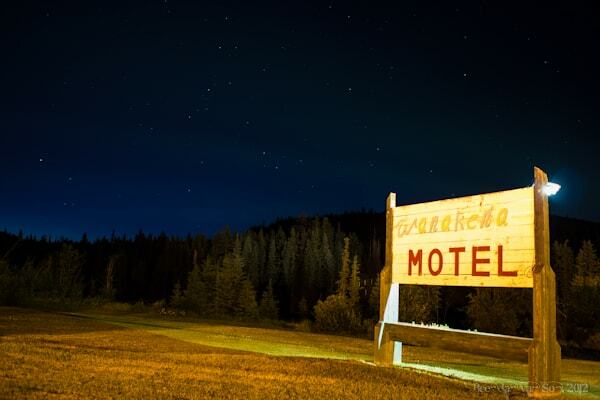 Basically, at a point during your long exposure you’re going to set off a flash to light the foreground of your image. How much juice you use to light the foreground will definitely take some trial and error, but it’s a good effect. Personally, I think you should shoot an off-camera flash so that the lighting looks more natural if you can. Shoot the light from a side angle of the scene rather than from directly behind the camera. Light Painting: I like this method the best. Basically, it’s the same idea as flash bombing but instead of using one burst of flash you’ll use a flash light or small spotlight. While the photo is being exposed you’re going to “paint” the areas you want lit with the light. Again, for a more natural looking light shot, shoot from an angle to the side of the camera rather than directly behind the camera. In some cases, you can get a great natural light from behind the camera if the moon is about to come up behind you, however that might also dim the stars. Double Exposure: Basically, in this idea you shoot the scene early in the night while there is still light on the foreground, then you wait until the stars come out and shoot the background. Then you would stitch the two images into one using a gradient stacking method in photoshop or a stacking specific program. Personally, I think it looks too fake most times and I am not going to sit for 5 hours with my camera on a tripod waiting for the stars to come out later. I flash bombed this scene to give the building that nice glow. When most people do star photography they avoid light pollution like it’s the plague. However, I find that a small bit of light pollution from a small source, like a nearby village, can create a nice layer to your image. It can also add a little bit of colour to a black sky. Light pollution, or actual pollution, can give the sky a pink or purple look which I think is much more powerful than a black sky. If you want to take your star photography to another level then one of the best things you can do is seek out a bit of light pollution, in moderation of course. Personally, I think the northern lights are much easier to photograph than typical stars. The fact that the sky is brighter means you can shoot quicker exposures. Of course, you will have to shoot quick exposures since the movement of the lights will just look like a giant blob of colour if the exposure is too long. 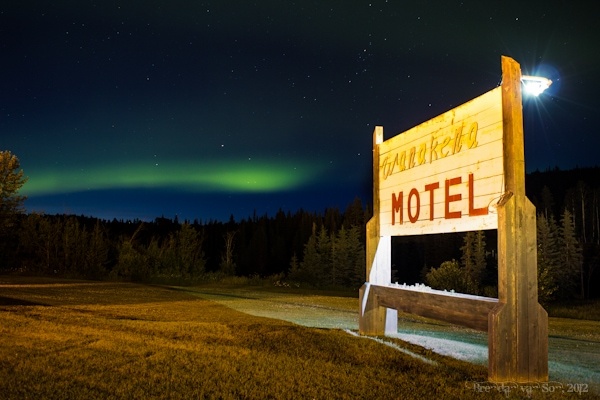 For me, the trick to great northern lights photography is all about the foreground. Find a lake to reflect the lights, find a snow-capped mountain that will glow in the same colour as the lights, or get creative and light something like a tent in the foreground. Like all star photography, shooting the northern lights comes down to a little bit of good luck and a whole lot of patience. Ok, now we’re getting serious. Shooting either time lapse or star photography on its own is tricky enough, putting it together is a whole other level. However, at the end of the day it’s all about following the basics of what you’ve just learned and putting it all together into one massive project. 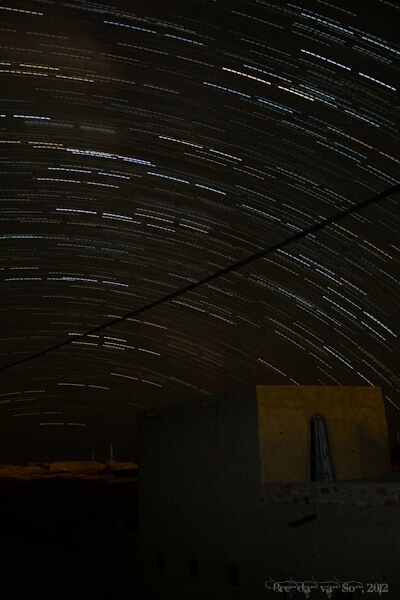 The other day in Djenne, Mali I did a star photography time lapse for an example. Although the stars weren’t that powerful above the city you get the basic idea of what it will look like. Again, I recommend you use Magic Lantern or some sort of remote timer. Work out your image composition and then shoot away. 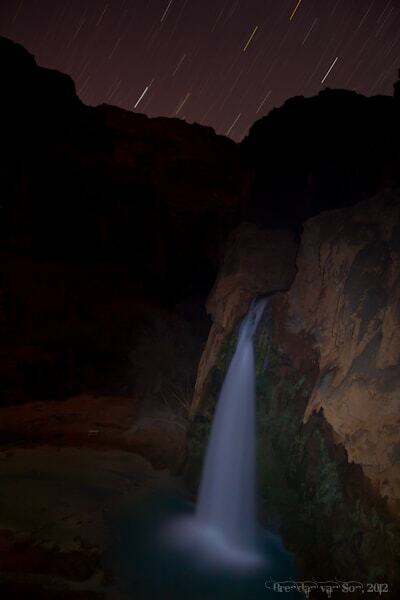 If you’re shooting 30 second exposures then set up your timer to shoot an image every 32 seconds. Your camera will need to be firing a long time to get any substantial length of video. You basically want to stuff 30 photos into every second of video. Thus, if you’re taking an image every 32 seconds you’ll need 16 minutes of shooting to get 1 second of time lapse footage. The clip below I shot over 2 hours to get just 8 seconds. Personally, I like using windows movie maker for time lapse because it’s simple. Drop all the images into the program, select them all and then choose 30 frames per second. What do you think about this star photography stuff? What has been your experience. If you have any questions about this type of photography leave a comment below and I’ll get back to you and answer the best I can. Hey Brendan, Have you tried shooting with your crop from sensor using the 600 rule directly? The crop factor should not – and in the case of my d300 does not – effect the stars’ motion. A crop frame camera allows you to see less of the same scene. It doesn’t actually change the zoom in anyway. A 50 mm lens still has the same aesthetic on a full frame or crop frame camera. A 50mm lens is NOT a 75 mm lens on a crop frame camera. It is still a fifty, with the edges of the frame chopped off. The focal length, and therefor the compression of elements, is identical in both circumstances. In the case of photographing the night sky, its the aesthetic compression (for lack of a better term) that makes the stars either stand still or move. That is why a 200 mm lens, which compresses elements together, will show star trails long before a 20 mm lens. But the same lens on either a d300 or a d800 will still require the same shutter speed to freeze those stars in place. Sounds good. I am not 100% confident either, but that is my understanding and it makes sense in many ways. Until recently, I shot with a Nikon d300 (1.5 ‘crop’ sensor). I used a 17 mm lens and usually shot at 30 seconds. Using the rule of 600, i either had 35 or 23.5 seconds (crop frame math). In a 30 second exposure, my stars wouldn’t move so the crop sensor doesn’t make a difference. Thanks for this Brendan. There are a some great tips here. Star photography is something I want to try out but have never been sure how to go about it. I’ve been to a lot of places that would have been perfect for it. Brendan those are great tips – stars (all kinds) can be slippery and get away quickly to leave only a blurr on your print. Thnx! Thanks Bency… Love star photography! Great tip about Magic Lantern. I had no idea about this firmware upgrade. Can’t wait to check it out. Oh god… I don’t even know how to work my camera without magic lantern anymore!! Haha. The other day doing star photography in Jasper, I set magic lantern to open the exposure for over an hour, and slept as my camera worked… that’s the good life!